It had been one of those days! I knew I the only way to fix it was to pack my camera bag and get outside! So, I did just that. I packed my camera bag and headed out towards Wylie, Texas. I knew I’d see something fun out near Lake Lavon, but I wasn’t sure what. As I was driving down the 2-lane road, I saw a sign for Collin Park Marina. Yep…that should do! I turned off and followed the signs around to the entrance. I pulled up to the gate, spoke to the nice lady for a few minutes about what was inside, and I decided that this adventure I was about to embark upon was well worth the $6.00 it was going to cost me to get in to the marina. I was right! Totally worth the money. 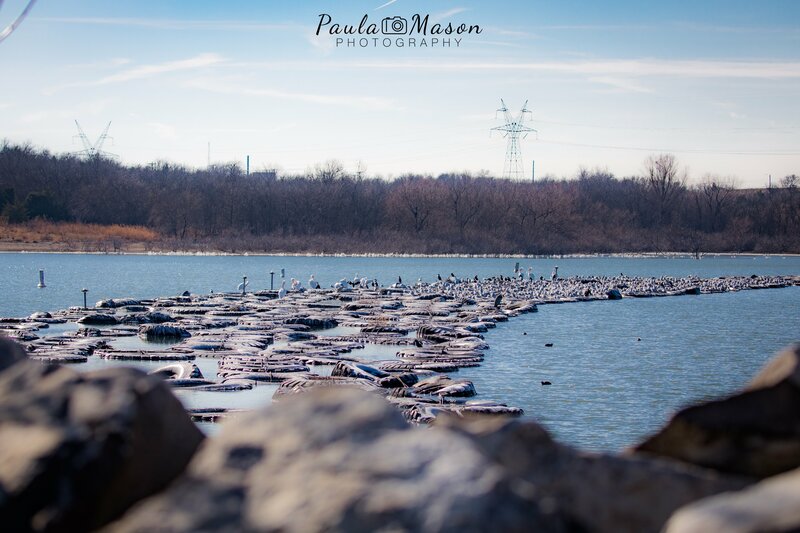 I went down near the boat ramp just to look around, and found a nice big rock to sit on. It was right on the edge of the water. So many boats, birds, and waves crashing into the rocks. Just what I needed. As I sat there, I realized that there were so many Swallows flying and darting around where I was sitting. 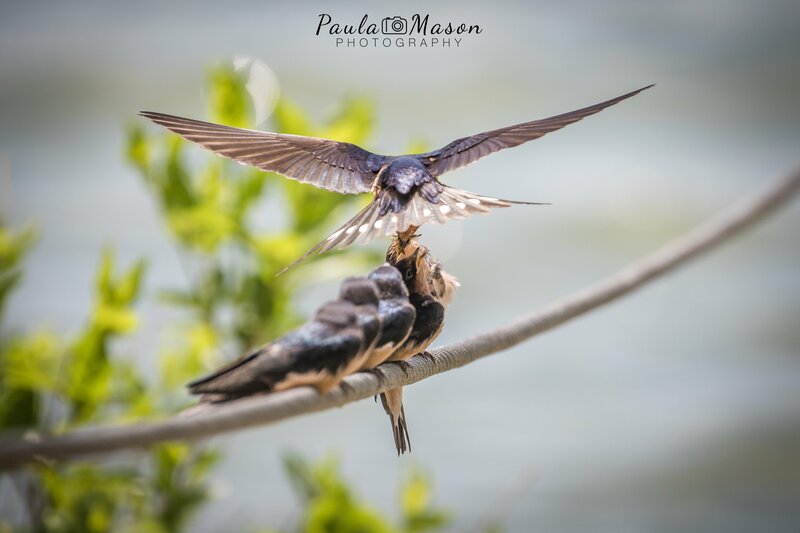 I’ve tried to photograph Swallows before, but they are so fast, that I don’t think I’ve ever gotten a good shot of them in flight. Just as I was about to give up, I noticed about 5 Swallows sitting on a wire about 10 feet from where I was sitting. 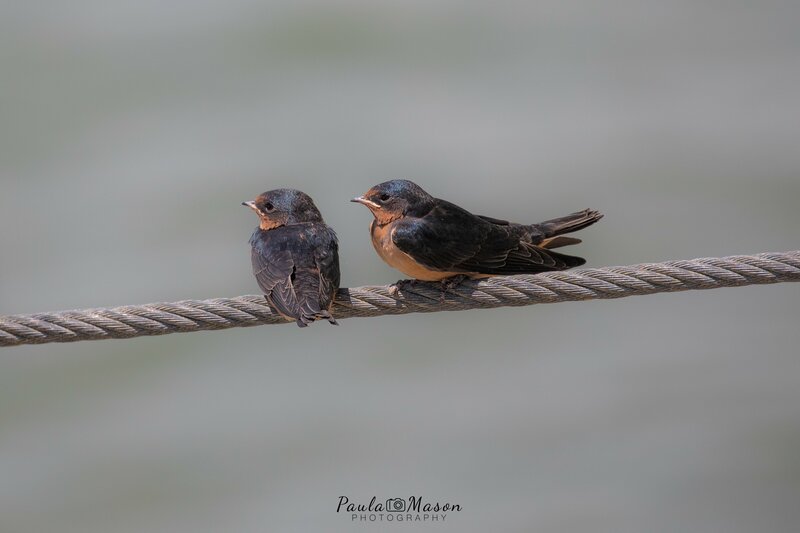 Right after I noticed them, a mommy Swallow flew down and fed the very excited baby swallows who were perched on the wire! Jackpot! I was in the perfect spot to try to capture some fun photos/videos of this! For an amateur, I think I did a pretty good job. This in-flight shot was easier during a feeding, than when they’re just darting around erratically, because I knew about where the momma would be depending on which baby was getting fed, so I had a better chance of getting something in-flight AND in focus! It was a little past lunch time, and just across the lake from where I was sitting is where I’ll be having my next restaurant adventure. I don’t know anything about the menu, or what it’s like inside, but I am very excited to try The Harbor House Restaurant & Club someday! I just hope that I can talk my family into joining me!